For runners who’ve left the pavement, there’s often no looking back. Trail running puts your workout right into nature and takes just a little gear, but each piece is important. You have shoes and shorts, and there’s a map at the trailhead with a route you want to try. Grab a running partner, and get your gear. Don’t forget these 10 essentials for running trails this summer in the wilds. 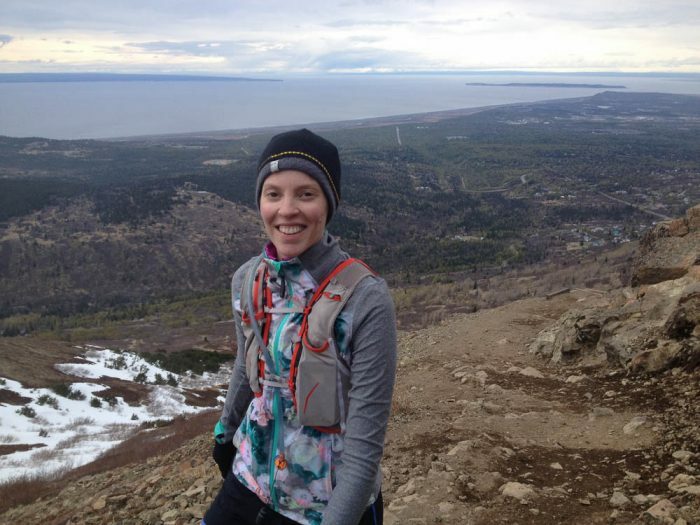 The clothing on your body is the most essential component of trail running, and all you really need for a short run. Everything should fit well, and be free of tags or other annoyances that will only grow with every mile. 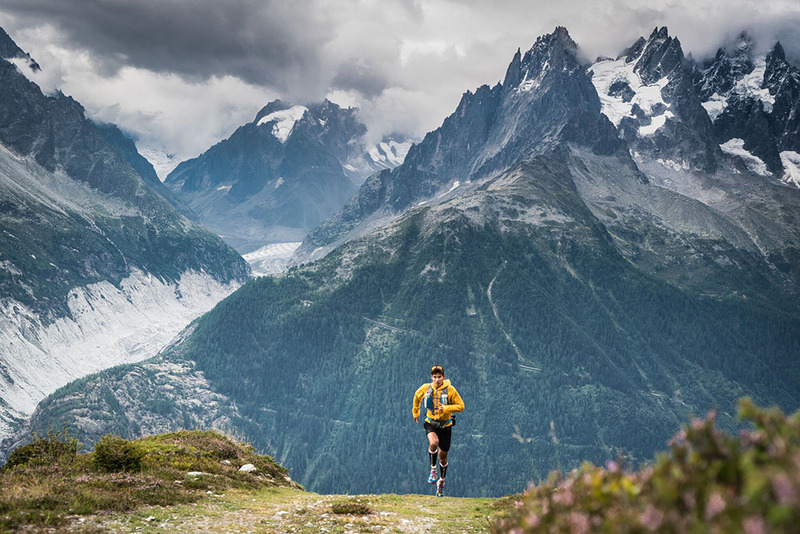 Choose proper trail running shoes for your environment, shorts or tights, a synthetic or possibly light merino wool shirt, and quality socks for the job. A light windbreaker like the Patagonia Houdini is great to carry in case the weather turns windy and cold. Hydration is a no-brainer. Runners tote H20 with hand-held water bottles or a running vest or pack (see below). Many bottles will do the trick, but the Nathan SpeedDraw Plus has served us well for runs under about seven miles. Don’t forget calories. We skip food for short runs, but anything beyond about 90 minutes of running and you want to keep energy up with bars, cookies, or store-bought gels. 100 – 200 calories an hour is best if you can stomach it on the trail. Electrolytes, in the form of drinks like Scratch Lab’s hydration mix or tablets like Salt Stick, help fend off muscle cramps on long runs over 10 miles when salts may get depleted. A brimmed hat is a requisite for sun-drenched runs. One option: Trucker caps have made a comeback in some circles, offering some ironic fashion along with a wide-brim, face-shading view. For mountain runs, include a Buff or light hat that covers the ears, and light gloves in case of a sudden temperature drop. Specialized running vests from Salomon, Ultimate Direction, Nathan, and other brands carry water and gear in a snug package. They hug your back and stay stable on long runs. We like the S-Lab Sense Ultra hydration pack from Salomon for one. Not everyone carries a pack, but on longer runs where more gear, food, and water is needed, we’ve found a vest-pack to be a solid option. If your run is anywhere close to nightfall, pack a small, light headlamp just in case you end up behind schedule. It’s better to carry a couple ounces than have to struggle your way out of the forest in the dark. The Tikka model from Petzl has served us well. For long hours at night, a second, handheld light source can be nice to add dimension to the running surface and point at specific objects in the dark. Light sunglasses are a must-have on bright days, and help protect eyes from unseen branches. For nighttime runs, get a pair of clear glasses or photo-chromatic lenses that shift tint in the dark to protect eyes from unseen branches. If you or a friend is injured on the trail, or you get lost and have to sleep through the night, a space blanket can be the difference between a bad night’s sleep and potentially lethal hypothermia. Even just a twisted ankle can be dangerous if you’re dressed lightly and the temps fall. If you’re headed off the main drag, into mountains, or anywhere spending the night in minimal clothing could be dangerous, consider packing these few ounces of insurance that can save your life or that of a friend. And lip balm, too. The sun beats down on trail runners, and you need to protect yourself from the rays. We like rub-on stick applications instead of greasy lotions. Another alternative: Dress in long-sleeve shirts and wear sun-shading hats. When you are on the trail for hours on end, skin takes a beating in unexpected ways. Lubricating products like Bodyglide will combat chaffing caused by hours and hours of friction. On long runs, we add a helping to our toes and between the legs where the friction is high.